Two French rivers disappeared underground in large cracks and craters: the Doubs River (Franche-Comté) and Ridley (Normandy). The Doubs River usually flows in Franche Comte, France. 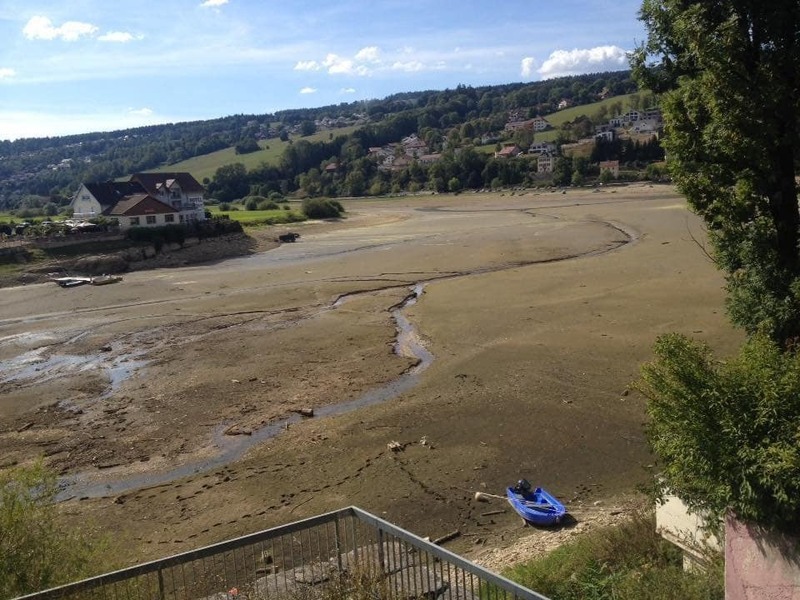 But about a week the river completely dried up for more than 1 km, between Pontarlier and Morto, although the precipitation was abundant this winter and spring. The river disappeared, and with it both fauna and flora. Everything is dead. Two weeks ago, the Ridley River in Normandy also disappeared underground in a large crater. According to geologists, this unprecedented event is associated with large cracks and fissures in the riverbed. Residents say that they have never seen anything like this before. The president of the local fishing association says that the river almost dried up during a severe drought in 1976, but now everything is different – in the winter there was a lot of snow and water in the spring. This situation is absolutely anomalous.